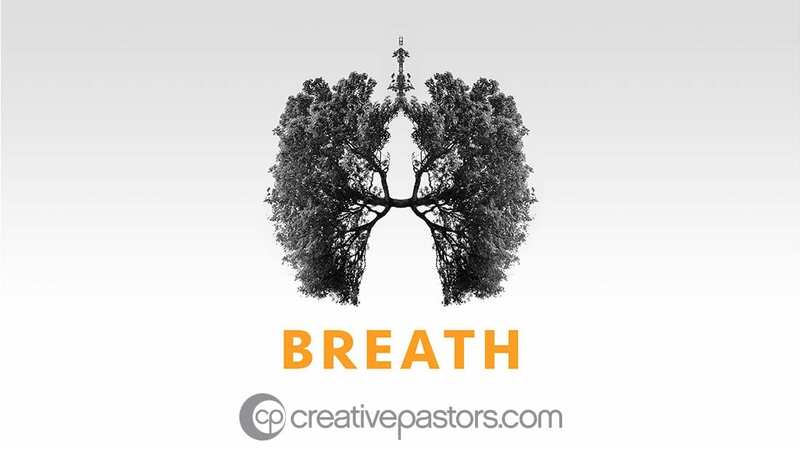 Set the tone for your message with this high resolution graphic from the "Breath" series. At five minutes in length, this countdown clock is used to communicate the planned start time of the service for the series "Breath" to the audience. Breath is crucial to our existence. When it is present, it comes with hope, opportunity, and potential. When that breath is the very breath of God, something even greater happens. In this special Easter message, Pastor Ed Young looks at the power of breath. With a look at the breath Jesus Christ took – both before and after the resurrection – we discover the key to more than existence. We will realize the power of life, and we experience the true meaning of our breath! Everyone knows what it's like to have bad breath. We do our best to mask it, but the fact is we can only cover it up temporarily. It’s true physically, and it’s true spiritually as well. In this message, though, Pastor Ed Young shows us how God can transform everything in our lives, including our breath. It all comes down to a choice of what we inhale, and what we exhale on those around us. Good morning this morning! Welcome to Fellowship! I’m Ed Young and we are from the magic city, Miami! Please be seated. You know, I want to say hi to all of our other campuses. This is crazy but right now we’re being seen in Dallas/Fort Worth. We have 10 different locations. We even have a location in London, England, believe it or not. So it’s great, great to be here. Man, you guys look awesome, you really do. Well, I was wondering, what did you have for breakfast this morning? Don’t shout it out. I’ll just go ahead and tell you because it might take a long time to interview every single person and ask you what you had for breakfast. You might be going, “Ed, what did you have for breakfast?” Well, the greatest drink in the world, café con leche. That is, I think, I really think in Heaven that is what they’re going to serve. That will be the drink in eternity. We all have bad breath, don’t we? I do. Go ahead and admit it. Just go ahead and say it. “I have bad breath.” Because if we don’t take care of our breath, our breath will take care of us. We will have bad breath. There are two types of people in the world – donkeys and oxen. Oxen are those who take us in the right direction and help us discover the best in our lives. Donkeys, on the other hand, have some devastating effects if they get too close. In this message, Pastor Ed Young challenges us from God’s Word to do life linked up, hooked up, yoked up to the right people. Because when we do life the right way and “yoke together” with the right people, we avoid the dangers of being influenced by the hee haw people in our lives. I thought we’d play a game today at all of our campuses. I’m going to say Hee-hee-hee, 3 hee-hee-hees, and you respond by saying haw-haw. So I’ll go hee-hee-hee, and you’ll go haw-haw. At all the campuses, even in Miami, even in London, England. Are you ready? 1-2-3-Hee-hee-hee <audience: haw-haw>. Hee-hee-hee <audience: haw-haw>. Hee-hee-hee-haw-haw-haw! Well, you might recognize it, one of the great television shows in the history, Hee-Haw. In the 70’s it was, like, THE show. I loved Hee-Haw. If you don't know what I’m talking about, watch this. “Dude, it’s the 70’s! The quality was all bad!” Hee-haw. Hee-haw. That’s what I’m talking about today. That’s the title of this message: Hee-Haw. More Bibles have been purchased than any other book in the history of the world. Every year, it tops the charts. Yet, for as popular as it is, the Bible is too often misunderstood and mistreated. In this message, Pastor Ed Young teaches us about the power and priority the Bible should have in all of our lives. Because when it comes down to it, the Bible isn’t just another good book. It is a book that literally has the potential to transform everything! Welcome to Fellowship Church! I’m Ed Young, lead pastor, and it’s great to have all of you here at all of our different environments. You know, we’re one church in many locations. 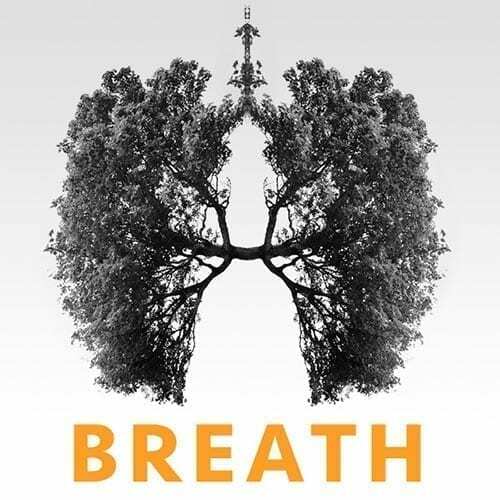 Well, I’ve been in a series called Breath and today I’m talking about breath that is recorded. I’m talking about the actual breath of God. ILLUS: When I was 15 years old I met a beautiful young lady at church. She’s now my wife, and she sent me this love letter. And this love letter was special. In fact, it was so special I read the love letter and read it over and over. And let me just read to you an excerpt of this letter. It’s still hot. Whew! It’s still hot. And it said, “Dearest Edwin B. You are super fantastic and I love you. All of my love, Lisa.” And she sprayed some cologne on it, Charlie cologne. I read that and reread that because it was a love letter. In this new series by Pastor Ed Young we discover the difference between existing and living, between inhaling oxygen and exhaling carbon dioxide, and truly breathing. Because when it comes to the breath we take, God has something much more in mind than a transfer of elements. The breath He has in store for each of us can truly transform the world! Experience The Breath Of Life. Breath is crucial to our existence. When it is present, it comes with hope, opportunity, and potential. When that breath is the very breath of God, something even greater happens. In this special Easter message, Pastor Ed Young looks at the power of breath. With a look at the breath Jesus Christ took - both before and after the resurrection - we discover the key to more than existence. We will realize the power of life, and we experience the true meaning of our breath! Everyone knows what it's like to have bad breath. We do our best to mask it, but the fact is we can only cover it up temporarily. It's true physically, and it's true spiritually as well. In this message, though, Pastor Ed Young shows us how God can transform everything in our lives, including our breath. It all comes down to a choice of what we inhale, and what we exhale on those around us. There are two types of people in the world - donkeys and oxen. Oxen are those who take us in the right direction and help us discover the best in our lives. Donkeys, on the other hand, have some devastating effects if they get too close. In this message, Pastor Ed Young challenges us from God's Word to do life linked up, hooked up, yoked up to the right people. Because when we do life the right way and "yoke together" with the right people, we avoid the dangers of being influenced by the hee haw people in our lives. More Bibles have been purchased than any other book in the history of the world. Every year, it tops the charts. Yet, for as popular as it is, the Bible is too often misunderstood and mistreated. In this message, Pastor Ed Young teaches us about the power and priority the Bible should have in all of our lives. Because when it comes down to it, the Bible isn't just another good book. It is a book that literally has the potential to transform everything!